What is the reason behind your workout? This is a question that you should ask yourself before starting up at the gym. 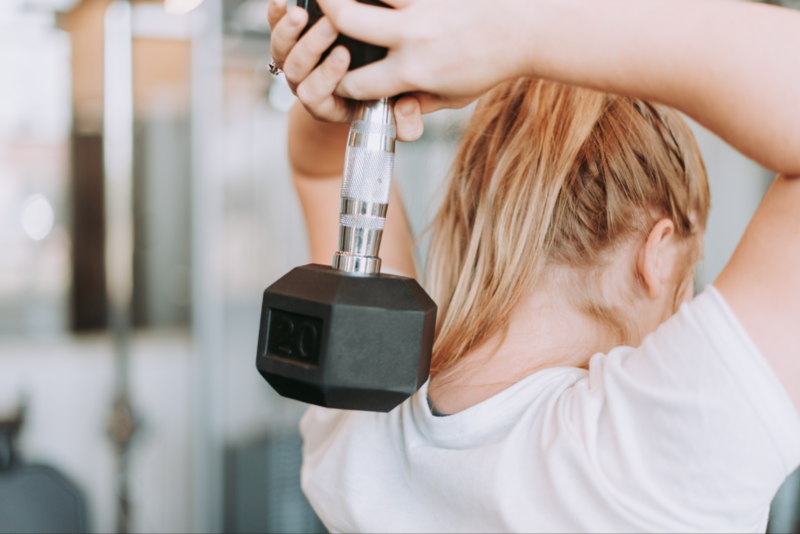 We can talk about program design and training different energy systems but realistically, a majority of us just want to find the best way to workout to reach our general goals. So you don’t necessarily need to have a well thought-out exercise program planned for the next 6 months, but what you do want are ranges to work at while in the gym. Let’s say you can dedicate a few days a week to resistance training. And let’s say that your exercise goals are to ‘tone up’ (side note: You can’t tone a muscle. You can increase endurance in muscle groups and increase their tolerance for fatigue). Or, perhaps you are new to resistance training and you want to gain some muscles mass. No matter what your goals are, the ranges you work at will determine your results. The key is to workout out in the range that will give you the results you are looking for. Here are some guidelines to follow with regards to the reps, sets and rest intervals required to get you to your desired goals. One thing to note is that your rep range is set by your weights and vice versa. This means: if I am aiming for 8-12 reps to gain muscle mass, the weights should be reflective of that. As I am going through reps 7, 8, and 9, it should be getting more and more difficult so that once I reach 12, I hit my max. If I could keep going and do 16 reps, it’s time to up the weight. If I am aiming for 12 reps but I can only do 6, I would be looking for drop the weight in order to hit my numbers. The other important component to remember is exercise selection and variation. If you are building muscle endurance, it would make sense to do compound movements that work more than one muscle group (more bang for your buck). For example, instead of doing a single arm bicep curl for 16 reps, why not use both arms to curl and then lead into a shoulder press for 16 reps? Really focus on the ‘burn’ and fight through it.If you are looking to gain size, the muscle being worked will require more stress and more emphasis. So if I want to make my biceps bigger, I will focus all my attention on my single arm bicep curl and emphasize the eccentric phase of the curl (the way down) as that will result in a greater amount of micro tears in the biceps that allow my biceps to get bigger. So remember the next time you’re in the gym make sure you are choosing the right ranges for your specific goals. Don’t get discouraged if you’re not seeing results, change your workout! And of course don’t forget to Trainsmart.